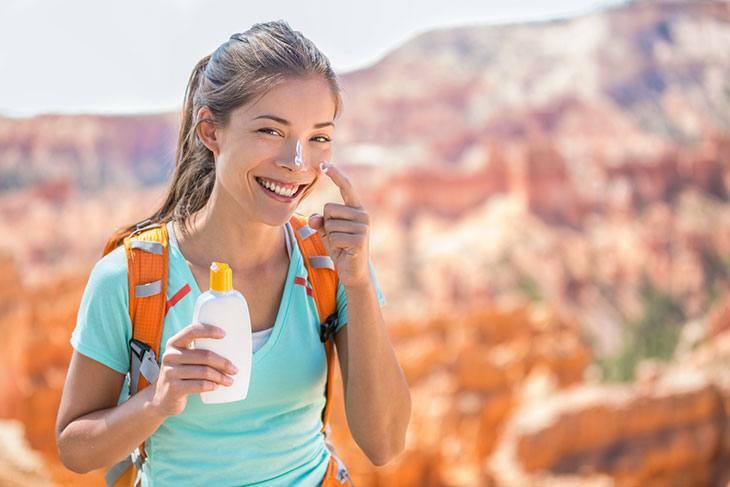 Best Sunscreen for Melasma of 2019: Do NOT Buy Before Reading This! More women than men get melasma also known as hyperpigmentation. In fact, nine of every ten people with this condition are female. Most are between the ages of twenty and fifty. While little is known about the causes of melasma, there seems to be a strong hormonal connection. Pregnant women in their second and third trimester appear to be particularly prone to the condition. It is commonly referred to as the pregnancy mask and medically known as chloasma (2). Estrogen, Progesterone and Melanocyte-stimulating hormones are elevated in pregnant women, but it is the progesterone that is believed to be the trigger for melasma. This is because menopausal women who are given progesterone as hormone replacement therapy are also inclined to get melasma, but those given estrogen do not have the problems. Birth control pills are also a risk factor for melasma. Scented cosmetics can also be the trigger for those who are particularly prone to melasma. Stress can also trigger melasma. The condition typically occurs in people with darker complexions, afflicting mostly Asians, Hispanics, Africans and Middle Eastern women. It also has genetic connections as those with blood relatives with the condition are more prone to getting melasma. People with thyroid problems are also more likely to develop melasma. Studies have shown that the melasma is darker in the summer months, fading in the winter. Ultra-violet rays from the sun cause Melanocytes in the skin create melanin. It is the body's way of building up protection from damaging ultraviolet rays. When they produce too much melanin, dark patches can occur. Dermatologists will examine the skin under a woods light to determine how deeply the melasma penetrates into the skin. The light will also show up any bacterial or fungal infections of the skin. If the dermatologist is unsure of the diagnosis, he can quickly and easily perform a biopsy of skin taken from the affected area. In this way, he can eliminate other conditions that may look similar to melasma. When a hormonal condition causes melasma, it can clear itself once the cause is removed, so melasma caused by pregnancy is likely to clear up once the baby is born, and that caused by hormonal additives may clear when the medication is changed or discontinued. People with melasma must protect their skins from the sun, and most will have to re-apply a broad spectrum 30+ sunscreen every two hours. Sun avoidance is the best way to prevent worsening melasma. Wearing a wide-brimmed hat when outdoors will help to protect the facial skin from the sun’s rays. Some cosmetics may worsen the melasma. Waxing should be avoided as it can cause the melasma to darken. Some medications can cause skin irritation. SPF 100 broad-spectrum sunscreen will protect your skin from both UVA and UVB which are both dangerous to the skin. Although many believe that SPF 100 does not afford much more protection than an SPF 50, this has been disproved in the laboratory (3). The formulation is not oily, and your skin will glow but not shine. Dermatologists and the Skin Cancer Foundation recommend this sunscreen. The light scent is pleasant but not overbearing. It absorbs quickly into the skin, leaving behind no white residue. It leaves the skin smooth and well hydrated. This waterproof product should be reapplied every two hours and every eighty minutes when swimming or sweating. It has an oil-free, non-shiny finish and a non-clog formulation. It is non-comedogenic and PABA-free. 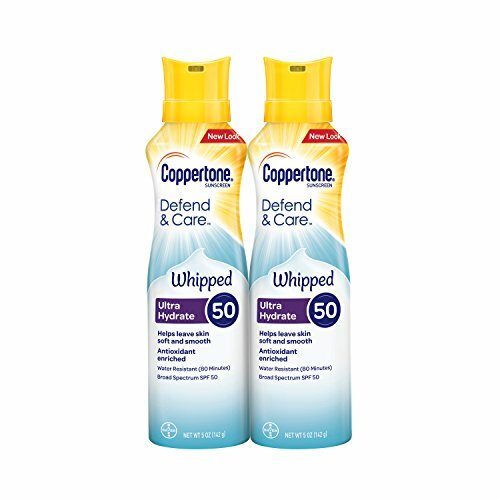 With an SPF of 50, Coppertone Defend and Care will lock out 98% of the sun’s damaging Ultra Violet rays. It is light and comfortable and will keep your skin fresh and hydrated, keeping it moisturized for up to eight hours. It contains vitamin E which is a powerful anti-oxidant that will protect your skin. It is a broad-spectrum sunscreen so that it will protect your skin from both UVA and AVB rays. It is water resistant for up to eighty minutes. This is a two-bottle pack at a very reasonable price. The new formulation of zinc oxide will not leave you with white streaks. The downside is that it can stain your clothes. Absorbs quickly and is non-greasy and not sticky. The mild scent is pleasant. It has a lovely light texture with the consistency of a mouse that goes on smoothly. A broad-spectrum sunscreen that protects against UVA and UVB rays with an SPF of 50. This sunscreen will provide excellent protection from the sun’s damaging rays. It is PABA free and free of any fragrance. It contains zinc oxide but it leaves no white streaks. There is no oily residue. It offers a lovely matte finish and is an excellent product for people with oily skin. It also forms an excellent base for makeup, as it does not clog pores. It is not water resistant, and it is pricey. It has a lovely matte finish. Protect yourself from the sun with this broad spectrum SPF50 sunscreen. It contains zinc and is water resistant for up to eighty minutes at which time you'll have to re-apply the lotion. It is oil-free and is easy to apply even when the skin is wet. It won’t clog your pores, and it does not stain your clothes. ​It has a light moisturizing feel, and it is unscented, so it is an excellent choice for sensitive skins. It does not streak or leave white marks on your skin even after you have come out of the water. ​Sun Barrier has an SPF of 45 and is recommended for all types of water sports as it is water resistant. 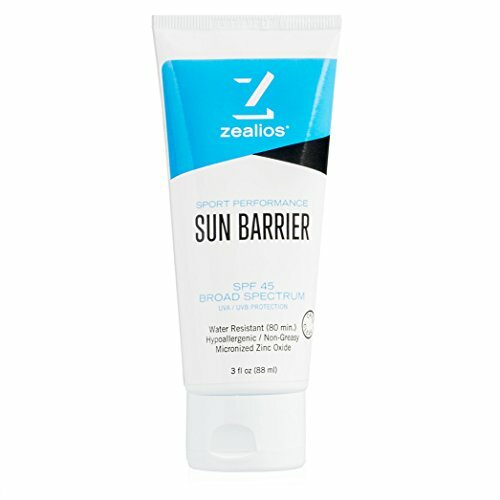 The zinc base will protect your skin from both UVA and UVB rays. It has a clear finish with no streaking or white marks. It is not oily or sticky. ​Because it is water resistant it is a great choice for sports lovers as sweat will not cause runoff. It is rated for eighty minutes in the water. A broad-spectrum sunscreen will protect you from UVA and UVB. UVA causes the skin to age and UVB causes the skin to become burnt. It causes sunburn, peeling, and blisters. It burns only the top layer of skin. UVA penetrates the epidermis and excites the melanocytes, which causes the skin to darken. Both types of UV damage cause skin cancer. The Sun Protection Factor or SPF gives you a measure of how long you can stay in the sun without burning. It is an indication of the amount of time that it will protect you from the UVB rays. 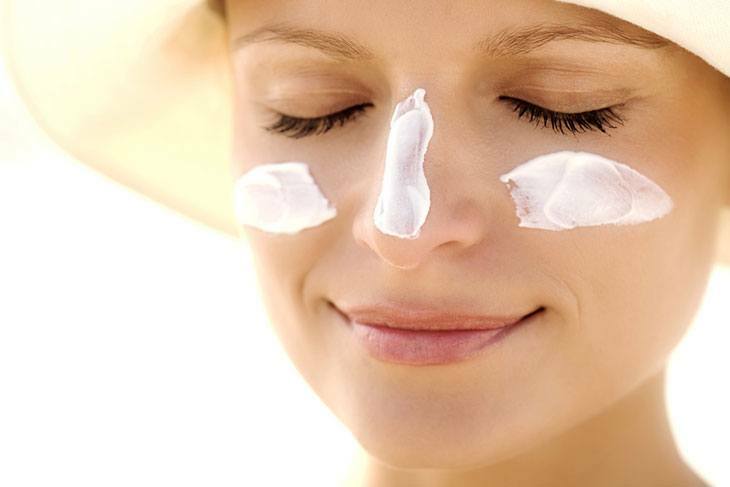 Dermatologists recommend that you should use an SPF of at least thirty for adequate protection. The thirty indicates that you can stay in the sun thirty times longer than you could if you had no protection. There two basic classes of sunscreens, chemical and physical. Physical sunscreens bounce the UV rays off the skin and protect against both UVA and UVB, which is why they are generally the best sunscreen for melasma. They typically contain zinc oxide or titanium oxide. In the final analysis, Neutrogena was the best sunscreen for melasma. Inexpensive, and recommended by dermatologists, this broad-spectrum sunscreen has twice the SPF of all the others. It is also water resistant, so it continues to protect the skin when in the water or when sweating. Don’t take the risk of increasing the dark spots on your face, a few weeks of care by a dermatologist and the application of a good sunscreen and slowly those spots will start to fade.